Tweets on his account are now all but impossible for people who do not already follow him to see. Matthew Whitaker, the new acting attorney general, has made his verified Twitter account private. In so doing, he has protected his account and made it all but impossible for people who do not already follow him to see his tweets, which have come under scrutiny since his appointment on Wednesday. When someone protects their tweets, the user receives a request when new people want to follow them, which they can approve or deny. Some of Whitaker's tweets are available via the Internet Archive's "Wayback Machine." 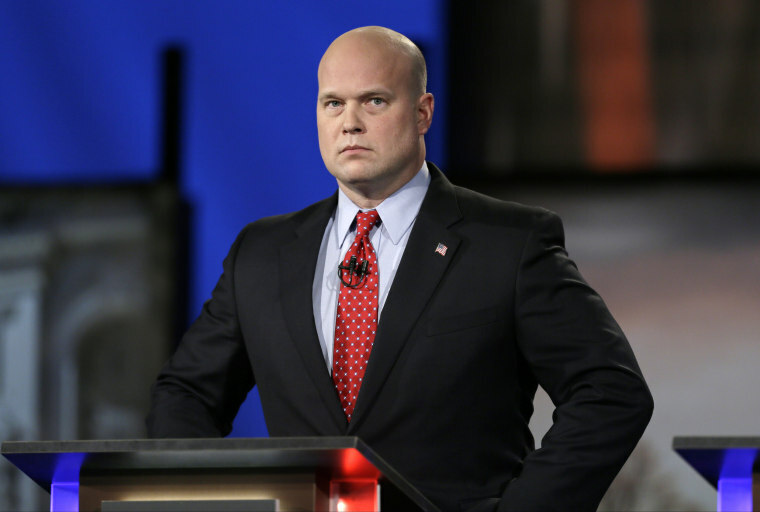 President Donald Trump announced Whitaker as acting attorney general on Wednesday after Jeff Sessions resigned at Trump's request. Whitaker, a former U.S. attorney in Iowa, has been vocal about his criticism of Robert Mueller's probe into whether Russia meddled in the 2016 U.S. election, which in his new role, he will oversee. Whitaker last year argued against legislation that would protect special counsel such as Mueller from White House pressure. “This would be a mistake. Cannot have anyone unaccountable in executive branch. Already protected enough,” Whitaker tweeted on July, 27, 2017. In an August 2017 op-ed for CNN, Whitaker wrote that "Mueller has come up to a red line in the Russia 2016 election-meddling investigation that he is dangerously close to crossing." He tweeted a link to the opinion piece on Aug. 6, 2017. Hours later he also tweeted a link to an op-ed written by another lawyer that encouraged Trump’s attorney not to cooperate with Mueller. "Note to Trump's lawyer: Do not cooperate with Mueller lynch mob," that tweet said, adding, "Worth a read." Twitter told NBC News on Friday it could not confirm when the account was last public. “We don't comment on individual accounts for privacy and security reasons,” a spokeswoman for Twitter said. Once a Twitter account is protected, tweets from that account can only be viewed and searched on the social media platform by the account holder and his or her followers.